Boston Public Schools had a challenge. With multiple curricula, how could educators assess student learning consistently and accurately across 125 different schools? They needed to measure all students’ progress toward grade-level standards in a fair and equitable way. 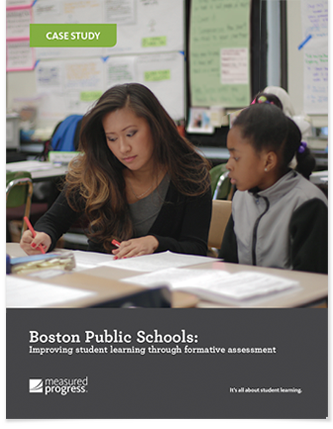 Boston leaders worked with Measured Progress to design a customized assessment program through the Test Construction Service. The result? They gained rigorous assessments aligned to state standards that support improved learning for more than 50,000 students.